1.World Health Organization: Physical status: the use and interpretation of anthropometry. Report of a WHO Expert Committee (Technical Report Series No. 854). Geneva, World Health Organization,, 1995. 2.日本肥満学会肥満症診療ガイドライン作成委員会: 肥満症診療ガイドライン2016. 東京, ライフサイエンス出版, 2016. 5.Ng, M., Fleming, T., Robinson, M., et al. 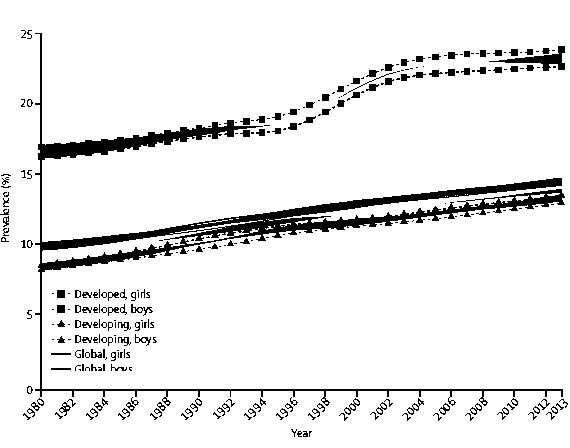 : Global, regional, and national prevalence of overweight and obesity in children and adults during 1980-2013: a systematic analysis for the Global Burden of Disease Study 2013. Lancet 2014; 384:766-781. 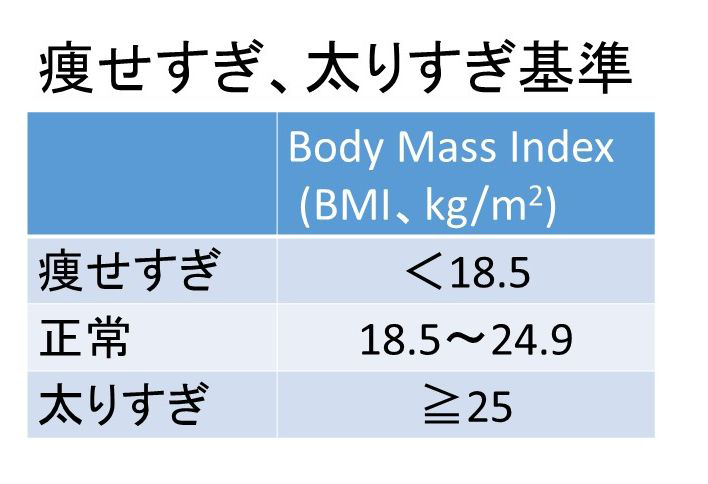 6.切池信夫, 永田利彦, 白田久美子: 近年における若い女性のBody Mass Index低下について　Eating disordersとの関連から. 臨床精神医学 1996; 25:611-617. 7.Canadian Paediatric Society: Dieting in adolescence. Paediatrics & child health 2004; 9:487-503. 8.Weaver, C. M., Gordon, C. M., Janz, K. F., et al. : The National Osteoporosis Foundation’s position statement on peak bone mass development and lifestyle factors: a systematic review and implementation recommendations. Osteoporos. Int. 2016; 27:1281-1386. 9.Adams, M. M.: Perinatal epidemiology for public health practice. New York, Springer, 2009. 10.瀧本秀美, 吉池信男, 加藤則子: 【胎生期環境と生活習慣病】 わが国における低出生体重児の増加とその要因　母子保健統計を用いた検討. 医学のあゆみ 2010; 235:817-821. 11.Kubota, K., Itoh, H., Tasaka, M., et al. : Changes of maternal dietary intake, bodyweight and fetal growth throughout pregnancy in pregnant Japanese women. J. Obstet. Gynaecol. Res. 2013; 39:1383-1390. 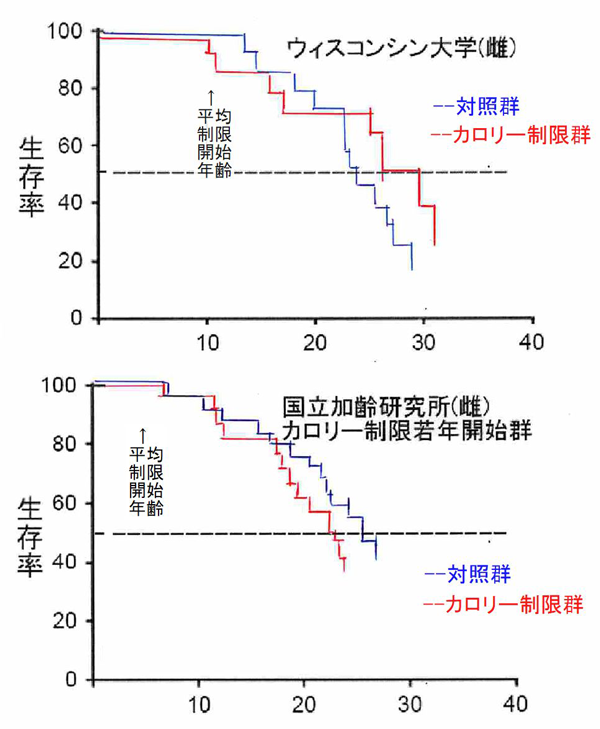 12.伊東宏晃: DOHaD研究の現状と今後 周産期からみたDOHaD研究　長期的な臓器特異的リモデリングの視点から. 日本周産期・新生児医学会雑誌 2015; 51:55-58. 13.厚生科学審議会地域保健健康増進栄養部会: 21世紀における第二次国民健康づくり運動（健康日本 21（第二次））. 東京, 厚生労働省, 2012. 14.厚生労働省大臣官房統計情報部: 我が国の人口動態 平成28年―平成26年までの動向 東京, 厚生労働統計協会,, 2016. 15.河井昌彦: 低出生体重児をめぐる諸問題. 日本産婦人科・新生児血液学会誌 2012; 21:49-54. 16.山下沙織, 永田雅子: 低出生体重児の社会的発達に関する研究の概観. 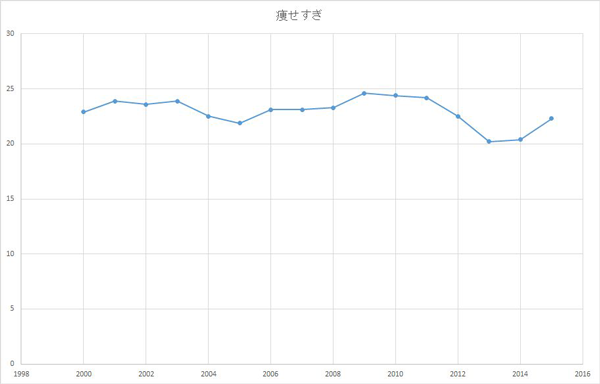 名古屋大学大学院教育発達科学研究科紀要(心理発達科学) 2012; 59:125-131. 17.Barker, D. J., Osmond, C.: Infant mortality, childhood nutrition, and ischaemic heart disease in England and Wales. Lancet 1986; 1:1077-1081. 18.Osmond, C., Barker, D. J.: Fetal, infant, and childhood growth are predictors of coronary heart disease, diabetes, and hypertension in adult men and women. Environ Health Perspect 2000; 108 Suppl 3:545-553. 19.Hales, C. N., Barker, D. J.: The thrifty phenotype hypothesis. Br Med Bull 2001; 60:5-20. 20.Gluckman, P. D., Hanson, M. A.: Developmental origins of health and disease. Cambridge ; New York, Cambridge University Press, 2006. 21.Laerum, A. M., Reitan, S. K., Evensen, K. A., et al. : Psychiatric Disorders and General Functioning in Low Birth Weight Adults: A Longitudinal Study. Pediatrics 2017; 139:e20162135. 22.Mair, W., Dillin, A.: Aging and survival: the genetics of life span extension by dietary restriction. Annu Rev Biochem 2008; 77:727-754. 23.Colman, R. J., Beasley, T. M., Kemnitz, J. W., et al. : Caloric restriction reduces age-related and all-cause mortality in rhesus monkeys. Nat. Commun. 2014; 5:3557. 24.Mattison, J. A., Roth, G. S., Beasley, T. M., et al. : Impact of caloric restriction on health and survival in rhesus monkeys from the NIA study. Nature 2012; 489:318-321. 25.Mattison, J. A., Colman, R. J., Beasley, T. M., et al. : Caloric restriction improves health and survival of rhesus monkeys. Nat. Commun. 2017; 8:14063. 26.Harrison, G. G.: Height-weight tables. Ann Intern Med 1985; 103:989-994. 27.永田利彦, 切池信夫: 米国における摂食障害患者の治療の現況　COPE病棟(ピッツバーグ大学摂食障害専門病棟)での重症患者の治療経験から. 精神医学 1998; 40:781-785. 28.Flegal, K. M., Graubard, B. I., Williamson, D. F., et al. : Excess deaths associated with underweight, overweight, and obesity. JAMA 2005; 293:1861-1867. 29.Gu, D., He, J., Duan, X., et al. 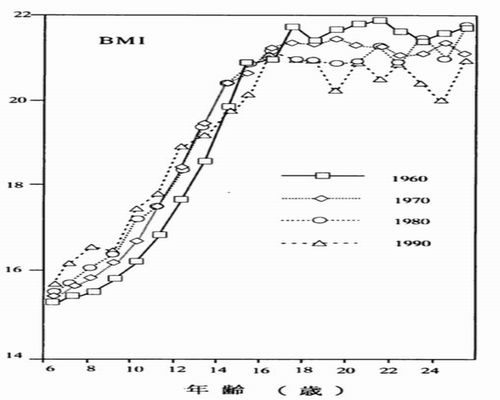 : Body weight and mortality among men and women in China. JAMA 2006; 295:776-783. 30.Sasazuki, S., Inoue, M., Tsuji, I., et al. 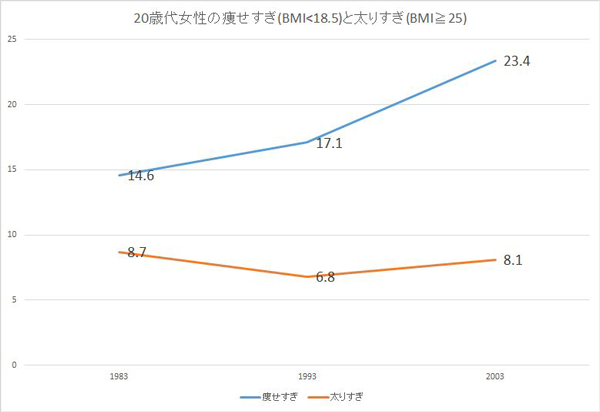 : Body Mass Index and Mortality From All Causes and Major Causes in Japanese: Results of a Pooled Analysis of 7 Large-Scale Cohort Studies. J. Epidemiol. 2011; 21:417-430. 31.Afzal, S., Tybjaerg-Hansen, A., Jensen, G. B., et al. : Change in Body Mass Index Associated With Lowest Mortality in Denmark, 1976-2013. JAMA 2016; 315:1989-1996. 32.厚生省保健医療局長: 健康日本21(21世紀における国民健康づくり運動). 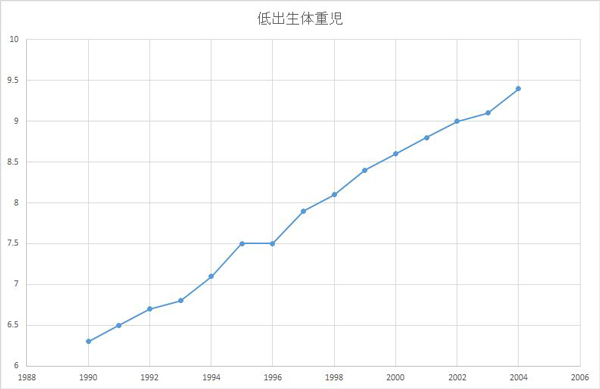 東京, 厚生省保健医療局, 2000. 33.Garner, D. M., Garfinkel, P. E., Schwartz, D., et al. : Cultural expectations of thinness in women. Psychol. Rep. 1980; 47:483-491.